Back by popular demand… of some district employees, both present and retired! We are resurrecting the Corn Roast Socials of yester-year. 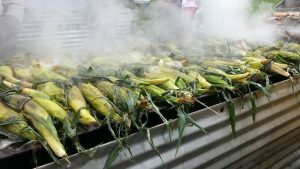 Corn on the cob, appys, wine and a cash bar will be available. Everyone is welcome as we connect to old and new colleagues, visit, and celebrate the beginning of another school year!! Posters for each site will be coming ASAP. Stay tuned for posts for “Welcome Back Bashes” in Tumbler Ridge and Chetwynd.